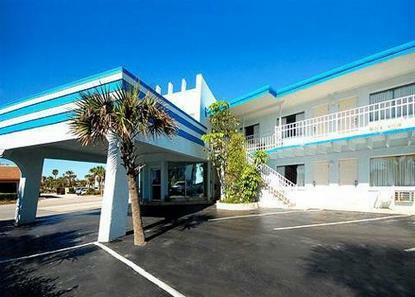 Newly renovated beachfront location with oceanfront pool. 8 Ft. Deep Beach side pool. NASA Shuttle launches visible from pool deck.Conveniently located for walking or by bus, this hotel is near shopping, restaurants and International Speedway. Home of the World's Most Famous Beach, Bike Week and Race Week. All rooms include free wireless Internet, microwave, refrigerator, hair dryer, iron and ironing board, coffee maker and continental breakfast. Pet charge: 20.00 per night per pet. Pet limit: 2 pets maximum 25 pounds per room. Kitchenettes - no utensils or kitchen ware provided. Night bell service for after hours arrival. Please call with estimated time.